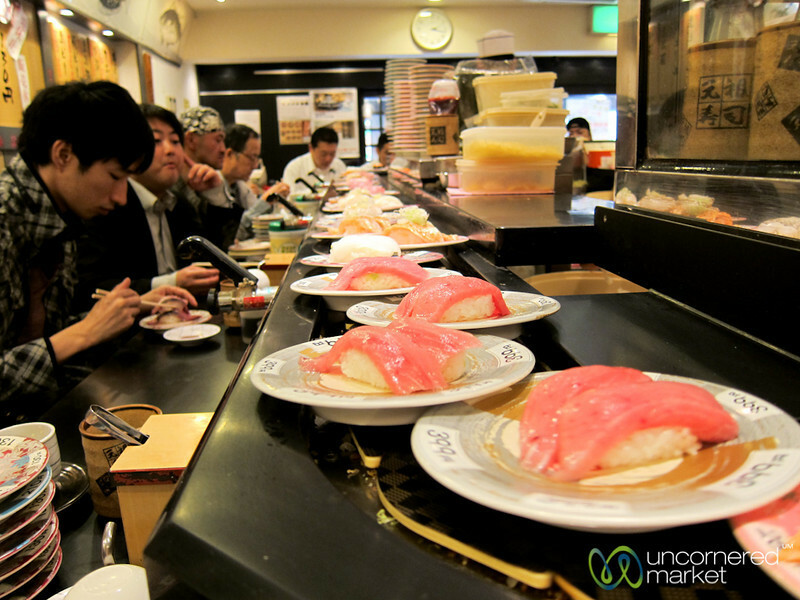 Generous plates of raw fish at a conveyor belt sushi place in Shinjuku, Tokyo. We ate ourselves silly for around $20. Just delicious.